Interview with Kara Odom Walker, MD, MPH, MSHS, family physician and Cabinet Secretary for the Delaware Department of Health and Social Services. Dr. Walker previously worked as Deputy Chief Science Officer at the Patient-Centered Outcomes Research Institute (PCORI) and was elected to the National Academy of Medicine in 2018. Topics discussed include engaging in public policy, leadership, social determinants of health, community engagement, mentorship, and flower arranging. Critical congenital heart disease screening in newborns (1:30), abnormal uterine bleeding (3:10), statins for primary prevention of cardiovascular disease (6:30), concussions (7:50), human papillomavirus virus vaccine (10:10), and an editorial on the high cost of insulin (12:40). Coaching patients about successful blood pressure management (1:30), anticonvulsants for low back pain (4:10), Everybody Needs a Family Doctor (5:10), lower extremity peripheral arterial disease (9:10), Right Care for children (13:50), recurrent urinary tract infections (16:20), primary care of breast cancer survivors (17:30). Hepatitis B (1:30), advance care planning (8:00), smectite for acute infectious diarrhea (12:00), uterine fibroids (14:00), gas, bloating, and belching (16:30), and AFP Clinical Answers lightning round (23:20). Acute hand infections (1:20), cervical cancer screening (4:10), manipulative therapies (10:50), metformin for nonalcoholic fatty liver disease and nonalcoholic steatohepatitis (15:30), and type 2 diabetes therapies (17:40). Antibiotic prophylaxis for urinary tract infections (1:50), first trimester bleeding (4:20), chronic sinusitis (7:40), renal cell carcinoma (9:30), digital media and attention-deficit/hyperactivity disorder symptoms (17:00), and AFP Clinical Answers lightning round (18:30). Patellofemoral pain syndrome (1:30), neuropsychological evaluation (7:50), intravenous magnesium for asthma (11:20), primary care for persons who inject drugs (13:30), and AFP Clinical Answers lightning round (18:30). Deprescribing (1:30), benzodiazepines (3:20), migraine prophylaxis (5:20), effective advocacy (9:30), urine drug tests (13:00), human papillomavirus vaccine (16:20), neutral protamine Hagedorn (NPH) insulin (18:30), AFP Clinical Answers lightning round (19:50). Counseling in primary care (1:30), slow uptake of evidence-based medicine (6:10), school absenteeism (9:30), screening for peripheral artery disease (12:10), adult well-male examination (15:20), and evaluating anticoagulation (21:40). Care for transgender persons (2:10), dental problems (9:10), short-term medical trips (12:30), Crohn's disease (15:50), preventing diabetes (19:40), deep vein thrombosis (20:50), and Faith in Subtraction: De-prescribing (22:00). Shingles vaccine (1:30), urinary retention (4:20), the flu shot (8:50), high blood pressure in children and adolescents (13:50), long-acting muscarinic antagonist use in asthma (16:40), and a review of prostate cancer screening (18:00). Hepatitis C (1:30), abdominal wall pain (5:10), internet-based cognitive behavioral therapy (8:10), mechanical low back pain (11:10), depression in adolescents (16:50), and aging well (20:10). Febuxostat (1:30), hemolytic anemia (3:50), STEPS: crisaborole (8:00), screening ECGs (9:40), well-child visits (13:20), and HPV testing (18:00). Interview with Margot Savoy, MD, MPH, Chair and Associate Professor, Department of Family and Community Medicine at Temple University Lewis Katz School of Medicine. Topics discussed include heath equity, leadership, advice for medical students, profound clinical experiences, music, and inspiration from quotes. Common foot problems (1:30), insomnia (5:20), newborn reflux (7:50), severe chronic joint pain (10:40), irritable bowel syndrome (13:00), and post-caesarean section ileus (18:00). Nutrition in toddlers (1:30), preoperative care in older patients (7:50), point-of-care ultrasound (12:00), caesarean sections (14:30), blood pressure (17:10), delafloxacin (19:40), cognitive decline (22:40), and epistaxis (24:10). Type 1 diabetes (1:50), food insecurity (7:20), rheumatologic tests (9:50), treatment of overweight children (14:30), recruiting in health centers (17:00), and terbinafine for onychomycosis (19:00). Hepatitis B (2:40), stimulant and designer drugs (5:00), low back pain (8:40), marijuana counseling (11:35), delivering bad or life-altering news (14:00), behavior counseling for skin cancer (18:30), and a special guest piece: A Cautionary Tale for Quinquagenarians (20:30). Statin use for LDL over 190 (2:10), allergy testing (4:30), procalcitonin to guide antibiotic therapy (10:30), medical decision-making capacity (13:00), bronchiolitis (16:30), antibiotic course duration (21:40), and the doorknob phenomenon (24:00). Please nominate the AFP Podcast for a Podcast Award in the Science and Medicine category by visiting www.podcastawards.com before July 31st! Geriatric assessment (1:40), otitis media (7:20), FIT for colon cancer screening (9:30), low risk pulmonary embolus (11:20), ovarian cancer (14:30), and recurrent abdominal pain in children (15:50). Diets for health (1:40), generic drugs (4:00), hyperhidrosis (5:50), asthma (10:30), pulmonary embolism (12:40), biomarkers for Alzheimer disease (16:00), and oncologic emergencies (17:40). General parenting strategies (1:40), adults with developmental disabilities (5:50), colorectal cancer screening and prevention (9:50), infectious diarrhea (15:50), maternal obesity and labor induction (21:10), and implantable buprenorphine (22:20). Croup (2:30), altitude sickness (5:20), fall prevention (8:10), animal bites (10:20), the top 20 POEMs of the year (13:10), gender dysphoria (17:40), and genetic risk testing (20:00). Common running injuries (2:50), the female athlete triad (10:00), antibiotic prophylaxis for COPD exacerbations (12:00), poststreptococcal illness (14:30), and osteoarthritis (20:50). 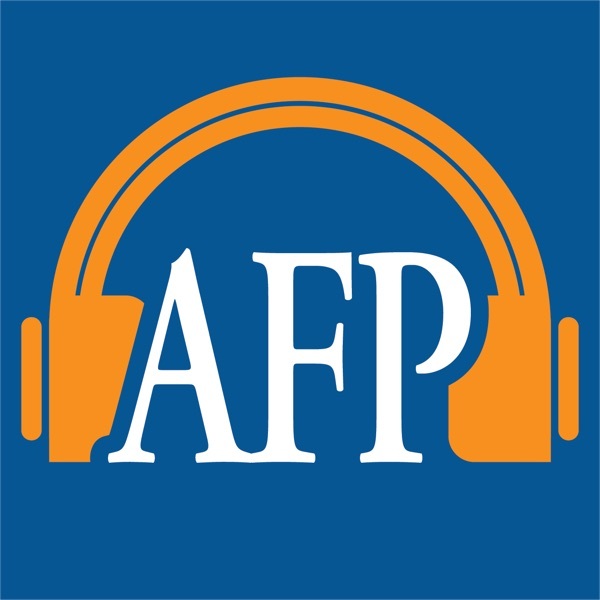 Please complete our 3 minute listener survey at www.aafp.org/afppodcastsurvey. Cervical cancer screening (1:50), Choosing Wisely (5:50), rheumatoid arthritis (7:30), pneumococcal vaccine (11:40), antipsychotics for Alzheimer disease (13:00), and syncope (14:40). Stable coronary artery disease (1:40), evaluation of suspected dementia (6:50), screening for thyroid cancer (12:20), and a review of the ACC/AHA hypertension guideline (14:30). Vaginitis (1:40), labor evaluation (5:30), opioid use disorder (7:30), extremity pain (12:00), osteoporosis (14:00), and pacifier use (16:00). Acute migraine treatment (1:40), diabetes education (6:40), vitamin D (7:40), light therapy for cognitive impairment (12:40), urinary tract infection in kids (14:00), and oxygen for myocardial infarction (16:50). Interview with outgoing editor of American Family Physician Jay Siwek, MD, and incoming editor-in-chief Sumi Makkar Sexton, MD. Topics include the past and future of American Family Physician, the leading primary care journal in the United States. We also hear from Dr. Sexton on what inspired her to a career in family medicine and in editing, her work as a leader in her medical practice, her experience as a soccer mom, and her surprising talent. You can read more from Drs. Sexton and Siwek about the transition in their editorials in the January 15th and February 1st issues of American Family Physician. Tremor (1:30), corticosteroids for plantar heel pain (3:50), hemorrhoids (5:30), clostridium difficile (8:00), skin-to-skin contact in newborns (12:10), and anterior cruciate ligament injury prevention (14:00). Heel pain (1:10), a hypertension guideline (5:10), H. pylori infection (6:40), preeclampsia screening (8:40), colorectal cancer screening (10:20), and our favorite Tweets (13:50). Pityriasis rosea (1:10), young febrile infants (4:10), stents (8:00), ear pain (10:30), female genital mutilation or cutting (12:50), insulin in patients with type 2 diabetes (15:10), moisturizers and eczema (20:20), and our highlights of 2017 (22:10). Chronic kidney disease (1:10), precision medicine (3:30), palpitations (7:30), gabapentin for low back pain (11:10), vision screening in children (12:30), and holiday ICD-10 codes (14:00). Elevated liver transaminase levels (1:10), topical capsaicin for treatment of chronic neuropathic pain (6:30), hyperosmolar hyperglycemic state (9:00), local anaesthesia for IUD insertion (13:50), USPSTF recommendation updates (15:30), and "Where I Listen" (17:20). Cardiomyopathy (1:10), gout (3:20), glucose management in hospital patients (5:30), latent tuberculosis screening (10:10), herpes zoster (12:00), sleep apnea (14:40), and an interview with family physician, educator, and writer Sandra Miller, MD, author of the new novel Only Rock is Real (20:50). Chronic cough (1:10), physical examination for the rotator cuff (5:10), heart failure with preserved ejection fraction (8:00), statins (12:10), and topical NSAIDs (14:20). Chronic rhinosinusitis (2:10), flu shot recommendations (5:10), social media use and mood disorders (8:20), fetal alcohol syndrome (13:30), and subclinical hypothyroidism (17:20). Introducing Greyscale, a podcast created by Ben Davis, MD, family physician and faculty member at Swedish First Hill Family Medicine Residency in Seattle, Washington. Greyscale "takes a look at the not-so-clear areas of medicine by sharing physicians' own difficult encounters." The stories "showcase what can often be forgotten - the humanity behind the physician." We speak with Dr. Davis about his podcast, his inspiration for producing it, and his career path in family medicine. We also share "best of" clips from Greyscale. Greyscale can be downloaded from iTunes or wherever you get your podcasts and from Ben's website www.thebadhumors.com. Secondary hypertension (1:10), oral diabetes medications (6:50), testosterone therapy (9:50), food consumption (16:10), prolonged dual-antiplatelet therapy after myocardial infarction (17:50). Hair loss (1:10), the opioid epidemic (3:20), vitamin B12 deficiency (6:10), antibiotics for cellulitis (10:00), steroids for hives (11:10), steroids for osteoarthritis (12:20), and lifestyle change in diabetes (14:50). Atrial fibrillation (2:30), meningitis (6:30), varenicline for smoking cessation (11:20), exercise stress testing (13:30), and low back pain (19:00). Lower extremity limb abnormalities in children (1:10), health literacy (5:40), preventing falls in older persons (8:30), the routine pelvic exam (10:50), cerumen impaction (12:50), and dexamethasone for sore throat (14:50). HIV complications (1:10), yoga and asthma (4:50), pelvic organ prolapse (6:10), developmental dysplasia of the hip (9:20), and probiotics (12:10). LIVE recording from the American Academy of Family Physicians National Conference of Family Medicine Residents and Medical Students in Kansas City, Missouri on July 29th, 2017. Topics include: Physical examination maneuvers that matter (2:10), delayed antibiotic prescriptions (11:50), severe asymptomatic hypertension (13:30), medical mnemonics (15:20), podcast origin story (26:10), a systematic cookbook review (30:20), meniscal surgery (34:20), Choosing Wisely (36:40), and an interview with AAFP President John Meigs, MD, FAAFP (40:30). Lung cancer screening (3:10), herbal supplement interactions (4:30), niacin (9:00), screening for sleep apnea (10:20), rivaroxaban (12:00), primary care for refugees (13:50). Arthroscopic meniscal surgery (1:10), developmental delay (2:10), drug prices (6:00), insomnia (9:50), and acupuncture for migraine prevention (12:10). Alzheimer disease (1:10), nonalcoholic fatty liver disease (7:30), bariatric surgery (10:30), slipped capital femoral epiphysis (14:00), idarucizumab (17:40), and sudden infant death syndrome (21:10). Laceration repair (1:30), chronic insomnia (3:20), migraine prophylaxis in children (5:30), the European risk score for cardiovascular disease (6:30), perioperative cardiovascular medication management (8:10), venous leg ulcers (12:20), and colon cancer screening (15:00). Recreational waterborne illness (1:10), cardiovascular risk (5:20), antibiotic prophylaxis in cirrhosis (8:30), top POEMs of 2016 (11:30), hypertension (16:20), and postpartum pain (19:50). Severe asymptomatic hypertension (1:10), iron deficiency in heart failure (6:20), breastfeeding (7:40), peritonsillar abscess (9:50), Zika virus (13:00), and our favorite Tweets (16:00). Chronic obstructive pulmonary disease (1:10), preventing unintended adolescent pregnancy (5:50), postpartum hemorrhage (7:20), and a POEM on placebo (11:00). End-of-life care (1:10), latent tuberculosis (5:50), preterm labor (7:30), antipsychotics in delirium (12:50), multiple myeloma (14:50), and an interview with Ranit Mishori, MD, discussing her unique career path, advocacy, community engagement, and social determinants of health (18:20). Deep vein thrombosis and pulmonary embolism (1:10), addressing the needs of LGBT patients (6:20), syncope (8:50), brief resolved unexplained events (BRUEs) (14:20), buprenorphine (17:10), and seborrheic dermatitis (20:00). Acute coronary syndrome (1:10), rifaximin (6:10), top medical schools for Family Medicine (8:40), proteinuria in children (10:00), antenatal steroids (13:30), and the Prevention Priorities Game (16:10). Interview with Mark H. Greenawald, MD, Professor and Vice Chair for Academic Affairs, Department of Family and Community Medicine, Carilion Clinic and Virginia Tech Carilion School of Medicine and Course Director of the AAFP’s Chief Resident Leadership Development Program. Topics discussed include physician wellness, mentorship, listening to patient stories, and Bison Chips. Antiepileptic drugs (1:50), dizziness (3:40), statins and dementia (8:10), jaundice in adults (9:00), practice guidelines for Botox (11:10), sertraline (12:40), and treatment of peripheral vascular disease (14:20). Hyperlipidemia (1:30), sleep apnea (5:50), otitis media (7:10), respiratory syncytial virus (8:50), giant cell arteritis (11:00), fibroids (12:50), and "Does chocolate cause acne?" (15:20). Heart failure treatment (1:10), patient-centered communication (5:40), membrane sweeping (10:20), opiate withdrawal (12:20), and “Primary Care Dreams” video by Jamie Katuna and Kyle Cowper (14:40). Interview with John Meigs, MD, FAAFP, President of the American Academy of Family Physicians and family physician in Centreville, Alabama. Topics discussed include: expected changes in healthcare in 2017 and beyond, how students and family physicians can become more engaged, his favorite football team, and hidden talents. Autism spectrum disorder (1:10), pediatric head injury (8:20), pediatric cholesterol guidelines (11:00), gastrointestinal complications in diabetes (13:20), and “Listening for a kinder, gentler, hospital experience” by Caroline Wellbery MD PhD and Eathan Janney (19:50). Lymphadenopathy (1:10), cardiac rehab (7:10), rotator cuff injury (9:00), infant infection rule out (11:20), aripiprazole (14:10), menopause (16:30), and Holiday Myths (22:40). Pet-related infections (2:10), PSA screening (7:00), carpal tunnel (9:20), erectile dysfunction (12:10), diabetic foot (17:00), and evolocumab (19:20). Pretravel consultation (1:10), sacubitril/valsartan (Entresto) (5:40), intimate partner violence (9:00), flu shot recommendations (13:30), aspirin (14:40), mental status examinations (18:40), and our favorite Tweets (21:30). Emerging vector-borne diseases (1:10), stretching (6:40), acute bronchitis (8:00), POEMs (10:30), fibromyalgia (14:10), and tacrolimus (15:40). Croup (1:10), skin cancer screening (4:00), clinical diagnosis of gout (6:10), STEPs for a new medicine for rosacea (8:00), atrial fibrillation (9:40), a look at diagnostic errors in medicine (13:10), and a response to a letter from a listener (16:00). Lupus (1:10), screening for depression (3:50), corticosteroids for asthma (5:20), meniscal tear (7:10), alirocumab (8:20), well-child visits (11:20), failure to thrive (13:10), hospital readmission (17:40), delirium (19:50), pioglitazone (21:10), behavioral management of dementia (22:10). Peripheral neuropathy (1:40), acupuncture for headache (5:20), antibiotic prescribing (7:00), exercise for dementia (10:40), premenstrual disorder (12:40), and a special guest essay entitled ‘5000-to-1 Odds’ (17:00). LIVE recording from the American Academy of Family Physicians National Conference of Students and Residents on July, 29, 2016. Topics include: Rhinosinusitis (2:00), liraglutide for weight loss (7:00), pharmacotherapy for alcohol use disorder (13:30), vaccine hesitancy (16:50), polycystic ovary syndrome (22:20), trigeminal neuralgia (27:10), screening for COPD (37:00), and genetic tests (39:00). Special features include: Live music, including the podcast theme song "We're on a Mission," (12:00) audience favorite ICD-10 codes (20:10), the new game "Name That Drug," (29:40) and an interview with AAFP Board Chair Bob Wergin, MD (40:50). Sarcoidosis (1:00), smoking cessation (4:50), peripartum depression (8:00), acute abdominal pain in children (11:40), flibanserin (16:20), and Zika virus (20:00). May 15th, 2016 issue of AFP. Cervical radiculopathy (1:10), Bell palsy (5:20), fluoride varnish (7:50), prostate cancer survivors (10:30), screening for autism (14:40), the top 20 POEMs of 2015 (16:10), and an interview with Dr. Mike Sevilla (22:10). May 1, 2016 issue of AFP. Interview with family physician Dr. Sydnee McElroy and her husband Justin McElroy, co-hosts of the award-nominated podcast Sawbones: "A Marital Tour of Misguided Medicine." Sydnee is residency faculty at Marshall University in Huntington, West Virginia; Justin also co-hosts the comedy podcast "My Brother, My Brother, and Me." Interview with J. Lloyd Michener, MD, Professor and Chairman of the Department of Community and Family Medicine at Duke University and co-founder of the "Practical Playbook," which builds collaboration between primary care and public health to improve health and reduce costs.